Soft-tissue tumors of the popliteal fossa and the posterior compartments of the leg are relatively uncommon. 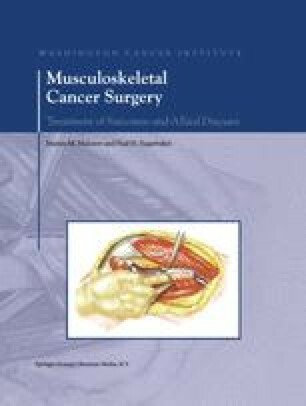 Patients with such tumors formerly were treated with amputations; however, better understanding of tumor biology and advances in chemotherapy and radiation therapy now allow the performance of limb-sparing procedures in the majority of these cases. Most of these tumors are large and are in close proximity to the neurovascular bundle at presentation; therefore, careful preoperative evaluation and meticulous surgical technique are essential. The utilitarian approach enables wide and safe exposure of the popliteal fossa, superficial and deep posterior compartments of the leg, and the posterior aspect of the distal femur.